The guava tree is a small evergreen tree with smooth flaky copper-colored bark on a thin trunk. It is a member of the myrtle family. The fruit is sweet and flavorful. Guavas can be grown from seed, but because most guava production is from hybrids, the tree may not grow true from seed. Vegetative propagation is more reliable when fruit production is desired. The guava grows best in frost-free subtropical and tropical regions. Choose a site with good drainage and protection from cold. Plant guavas in full sun, at least 15 feet away from other trees, buildings or power lines. The guava will do well in any soil, and tolerates a pH range from 4.5 to 9.4. Dig a large hole, three to four times larger and deeper than the container your tree came in. Mix organic compost into the removed soil. Remove the tree from the container. Refill the hole with the removed soil, placing the tree so that the container soil is level with the ground. Tamp down the soil around the tree roots. Water the newly planted tree. Continue watering every two days during the first week, then one or two times a week for the first few months and during dry weather. Mulch the area around the tree with a two to six inch layer of bark or other organic mulch, but keep the mulch back about a foot from the tree trunk. Fertilize the tree with a complete fertilizer mix once new growth appears. Scatter about a cup of fertilizer on the ground around each tree once a month for the first year. During the second year, fertilize every two months from late January through early November. Apply a nutritional spray containing copper, zinc, manganese and boron three times a year for the first two years, then once a year. In areas with very alkaline or very acid soils, an iron supplement may be necessary. Prune newly planted guava trees to about 1 to 2 feet to encourage branching. Establish three to four lateral branches and allow them to grow to 2 to 3 feet. Tip these branches to encourage further branching. Keep the height under 12 feet to protect the tree from strong winds. Remove any suckers that might form around the base. 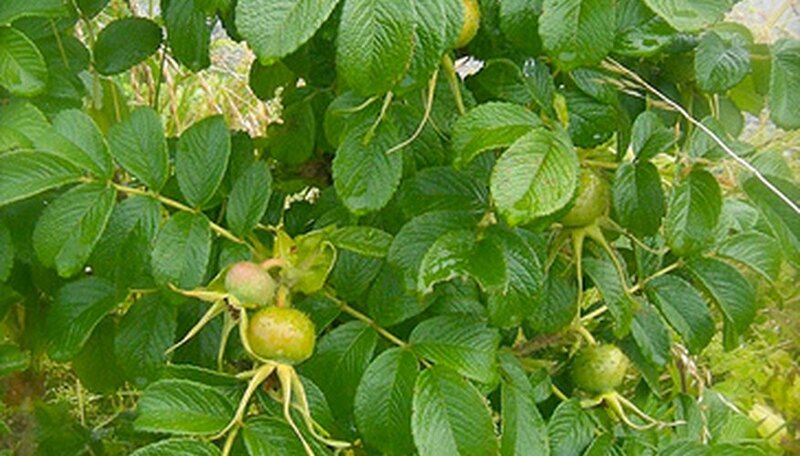 Protect guava trees whenever temperatures drop below freezing. Mound a bank of soil around the trunk for protection and cover the top with a blanket or plastic. For periods of extreme or sustained cold, add a heat source under the tented tree. Thin fruits as needed to avoid over loading the branches and breaking them. Thinning protects the tree and encourages larger fruits. Cover developing fruit with a paper bag when it reaches the size of an olive to prevent fruit fly infestation. Fruit flies are a major problem in many areas. Watch for the guava moth. Covering the fruit with a paper bag will also help control guava moths, but biological control agents are also available. Consult your county extension agent if guava moths are a problem in your area. Harvest ripe guavas by hand. Guava trees begin fruit production approximately three to four years after planting. Fruit ripens 90 to 150 days after flowering. With good pruning, trees may produce two crops per year and harvest can be spread out to produce nearly year round. Harvest fruits under-ripe for marketing or shipping. Home gardeners may prefer to harvest fruit under-ripe if birds are a problem. Pick fruit when yellow-green and ripen at room temperature.